Countries with the best reputations among consumers. When you look at the tag of your shirt, and it says “Made in Bangladesh”, what does it mean to you? For most people, a reputation for each country exists in their brains. The same Bangladeshi shirt coming instead from Germany or Brazil could evoke different perceptions to a consumer – and in aggregate, these views have a substantial impact on the success of goods in international markets. Today’s chart shows survey results from 43,034 people in 52 countries on their perceptions of products from various countries of origin. 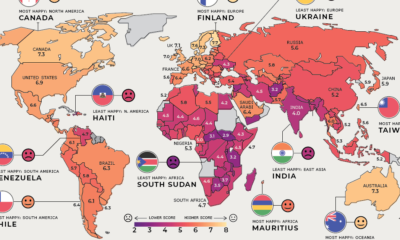 According to Statista, which compiled the Made-in-Country-Index (MICI), each person assessed three countries to give a total of 129,102 individual assessments. Interestingly, according to 62% of these 1,018 respondents, the good that is best labeled “Made in America” is clothing. While the domestic industry has certainly been dealing with challenges on the business side, it appears American-made clothing is still coveted by consumers when it can be done right.